As Ridley Scott proceeds with his love affair with Aliens it is becoming more and more apparent that none of the latest films will ever surpass the original two movies. 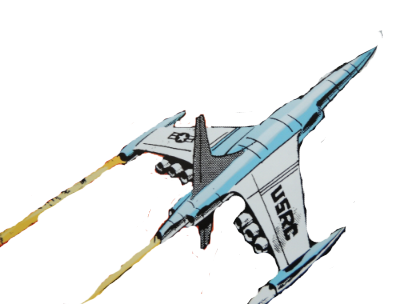 Prometheus is far more complex than any of the preceding films and begins with the reason for the spaceflight with theories on evolution and then borrowing from 1950's books by authors such as Eric von Daniken which were discredited as quackery a long time ago . 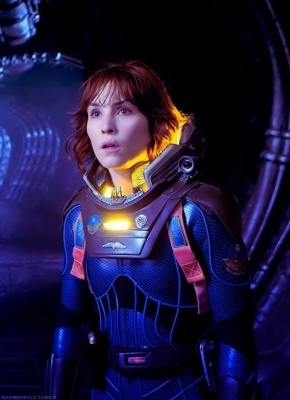 Armed with this dubious background, once again a woman leads the expedition - this time in the shape of Noomi Rapace who is very good but will never fill Sigourney Weaver's spacesuit - in fact, I can't think of anyone who ever will. Michael Fassbender is the sinister android which is now a staple of every Alien film, on this occasion bizarrely imitating his hero Peter O'Toole and watching re-runs of Lawrnce of Arabia. Down the pecking order we have the perennially unloveable Sean Harris, who you know will die a horrific death along with lesser known members of the cast. Once again on an alien planet, the astronauts find their way to the cavernous organic control tower with the fossilised alien which was a source of fascination in Alien and once again they are picked off one by one. Prometheus is a complicated story which I still find difficult to comprehend; it is exciting at times but the special effects are the best part of the movie which is well worth seeing without being breathtaking. There is a part of me, however, which says that we have all come to exoect too much these days and the more we get the more we want - the reason I say this in this particular instance is because if there had been no preceding Alien films Prometheus may well have been better received . Given that Jennifer Lawrence has taken the place of Debbie Harry as every school boys dream, I was fully expecting Passengers to be a rom-com in space. However, I found it to be an enjoyable S/F film which kept one's interest as it moved from a voyage to a planet light years away ; to the engineer Jim Preston's (Chris Pratt) dilemma as he wakes early from his 120 year hyper-sleep,; his crushing loneliness and its unfortunate solution ; and onto high intensity action in order to save the rest of the crew. The film asks many moral questions , not least when Jim deliberately wakens Aurora (Jennifer Lawrence) to salve his loneliness and as they fall in love decides not to tell her. Michael Sheen's Arthur the bartender is nicely downplayed and it's interesting to note how far robotics could one day go. Although we have come to take special effects for granted they are here quite spectacular both inside and outside the spaceship - it's a mark of the Director's expertise that he never allows the special effects to become overwhelming to the detriment of the storyline. I once read an S/F short story where the astronauts were all placed in hyper-sleep and several of them after completing their journey woke insane - they had suffered from a century long nightmare - perhaps a story for another day. I have to say that it's a refreshing change from monsters and I enjoyed this fim greatly.